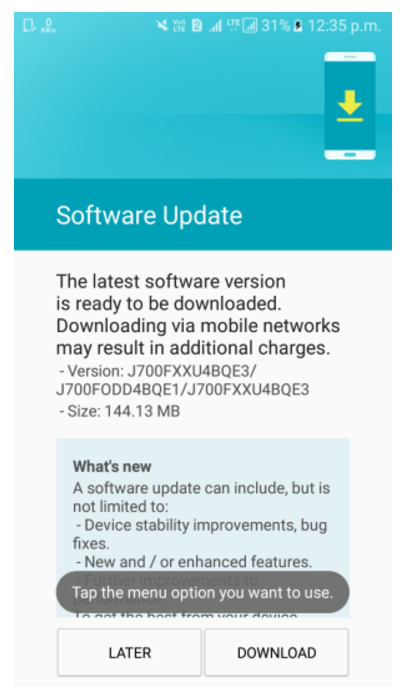 Continuing its promise, HTC is still rolling-out the Android 5.0 Lollipop update for its 2013 flagship, HTC One (M7). 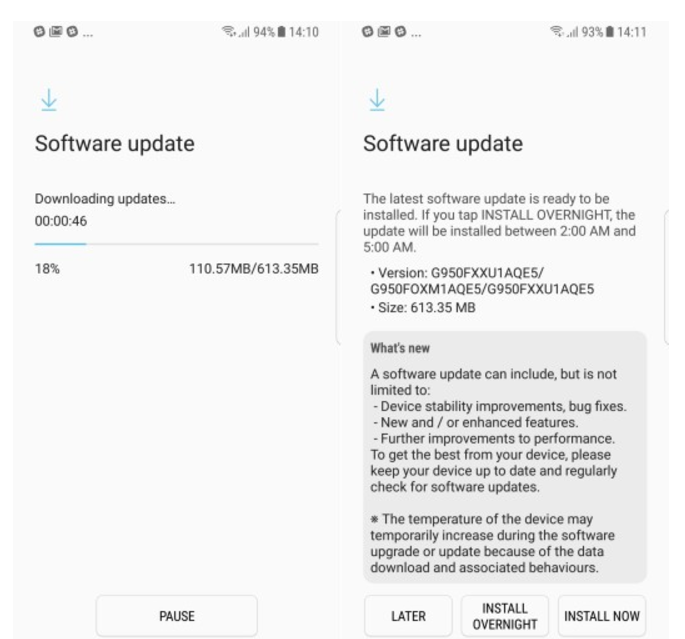 The Update OTA package has now reached India, Singapore, Malaysia and many other regions, still there is some regions who didn't get the update yet. The One (M7) gets the Lollipop OTA packaged in a build version 7.21.707.105 measuring 774.82MB for India. The build will have different version number for each region but will be more or less around 800MB. 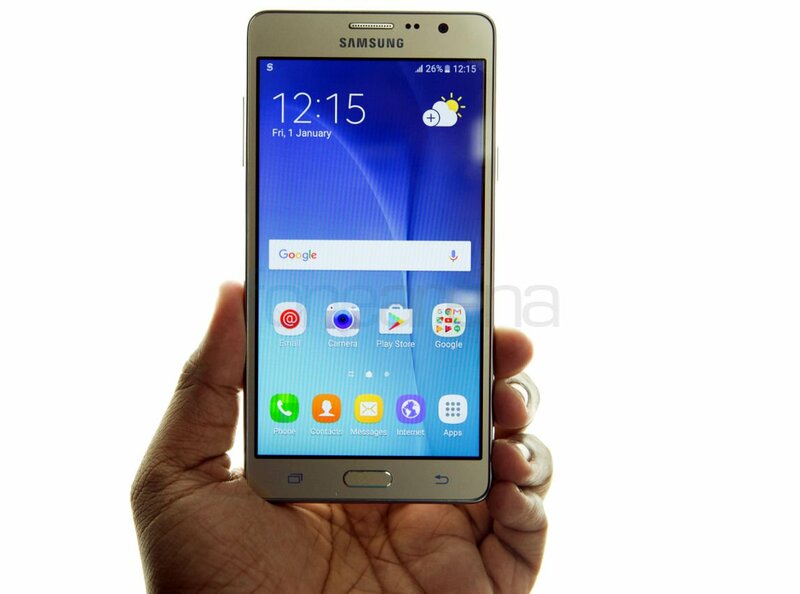 Samsung's debuting their new Tizen powered Samsung Z3 in India. 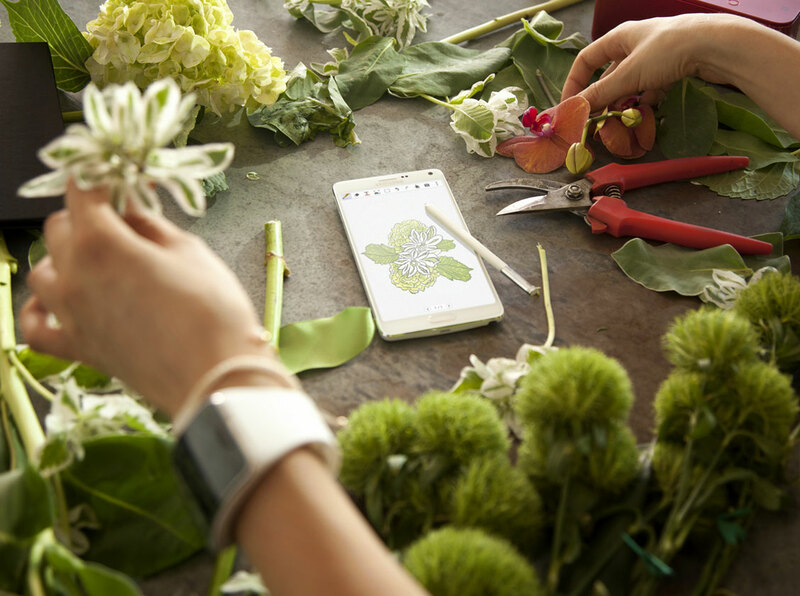 It's designed as a value device, but it still features some major hardware improvements over the Z1. 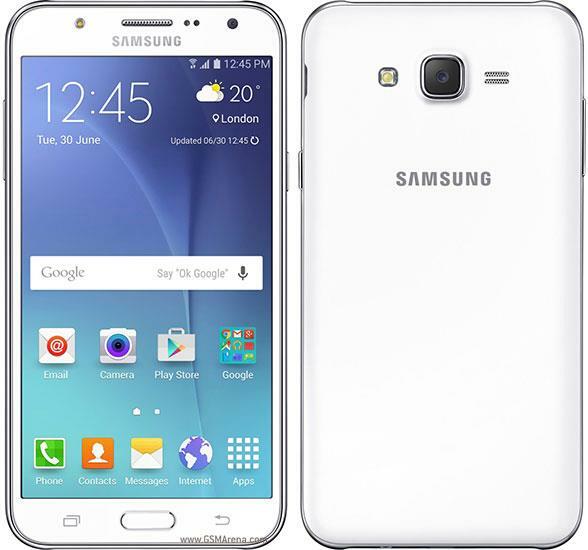 Despite the upgrades, the Samsung Z3 still lacks support for 4G LTE. The design itself is reminiscent of Samsung's mid-range priced Galaxy A series with the curved back much like a Galaxy Note 5. 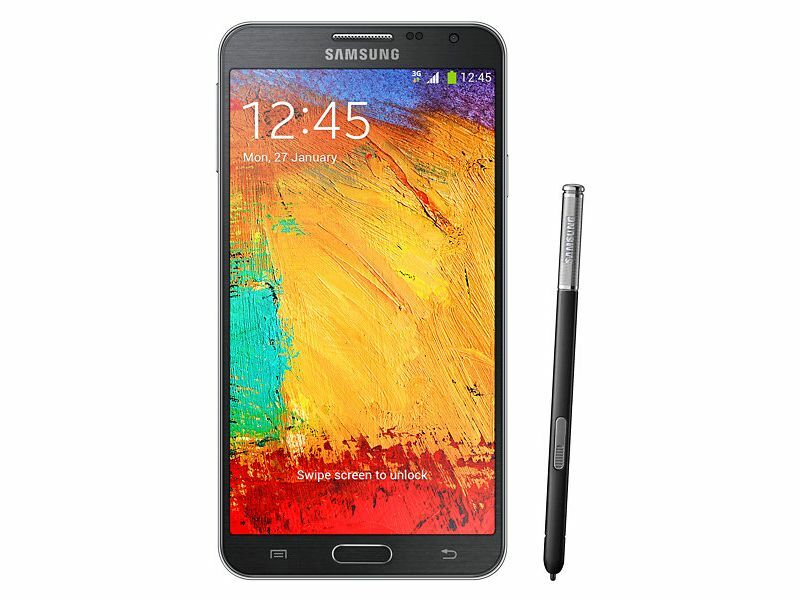 The Tizen OS and software features such as Ultra Data Saving Mode gives users as much as a 40% data savings. The Ultra Power Saving Mode boosts battery life as well. Samsung's also tailored their My Galaxy app to offer content specifically for Indian consumers. 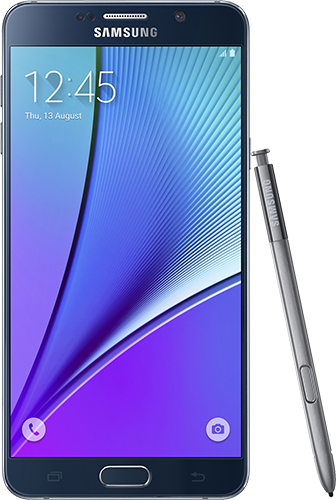 You can get the Z3 in silver, black and gold for Rs. 8,490 or $130. 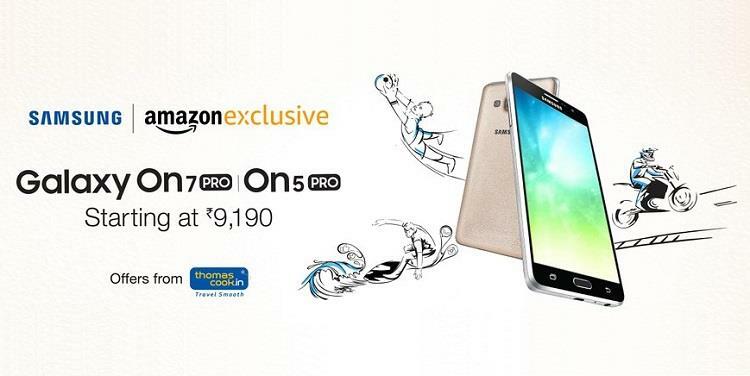 It'll be available later in the month via Snapdeal. Over the years, the import tracking site Zauba has revealed countless devices to us and this time it's the Galaxy Tab S3 which was sited. 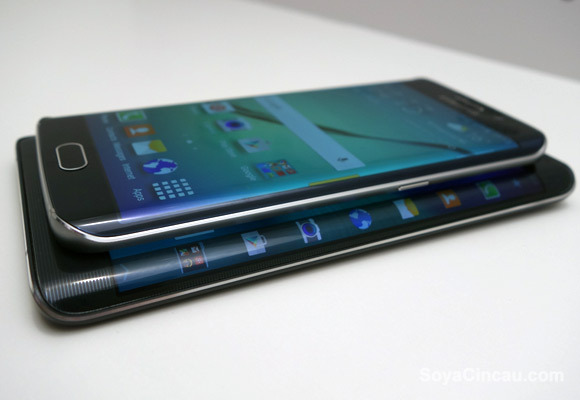 It isn't uncommon for unreleased gadgets to be sent to India for R&D purposes, especially when it comes to Samsung. Here we see the LTE variant of the Galaxy Tab S3 with the model number SM-T825 along with a price tag. However, the Tab S3 will probably be priced higher than ₹34,138 ($503 approximately) mentioned in the description. There will also be a Wi-Fi only variant of the Tab S3 (SM-T820) with a lower price tag but otherwise identical specs. Speaking of specs, we have little to no idea about what Samsung will bring to the market with its next flagship tablet, other than the fact that it will sport a Super AMOLED 9.7-inch 2K display just like its predecessor. 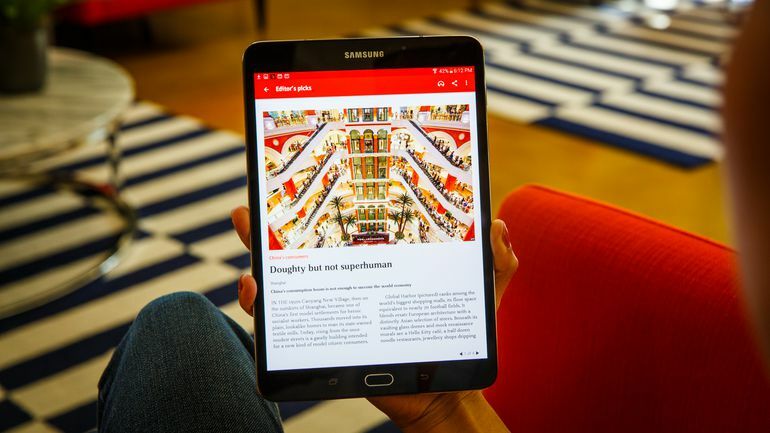 Rumors suggest that the Tab S3 will possibly be released in early 2017, but it can get delayed due to the negative impact which the Note 7 disaster had on Samsung. 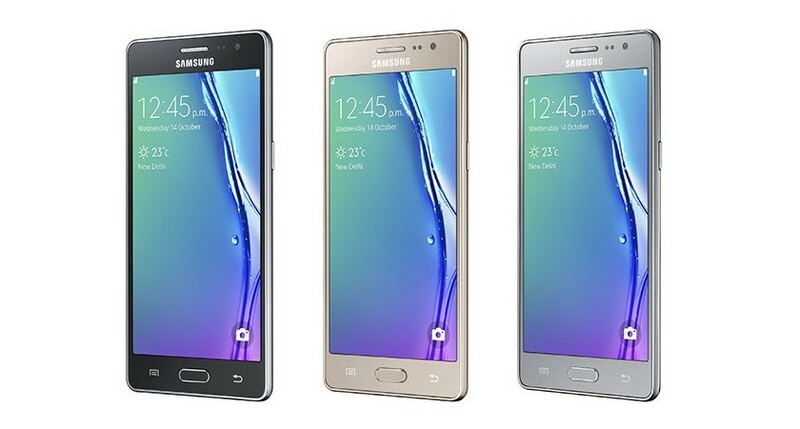 Samsung will manufacture the Tizen-based Z1 smartphone in India. 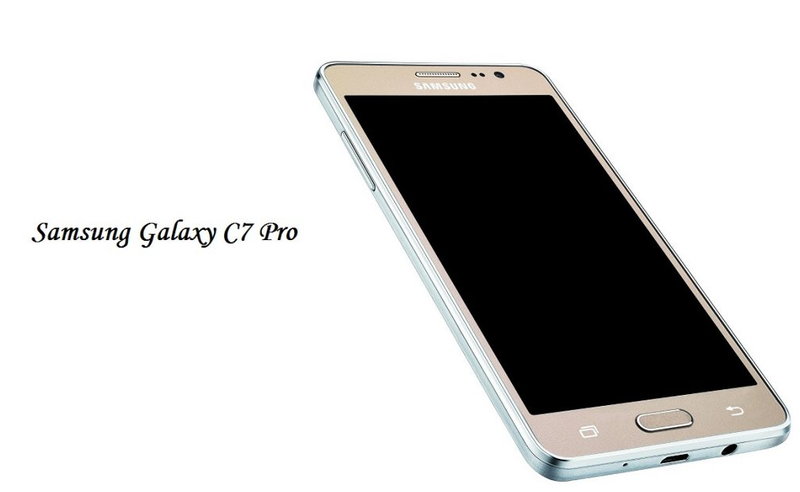 The Korean giant launched the affordable device in the country earlier this month. 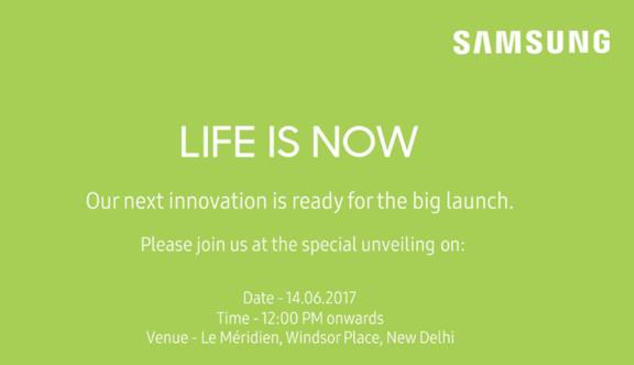 The device's manufacturing process will take place in Samsung's Noida facility in India. The company's Vice President of Marketing for India confirmed the news. 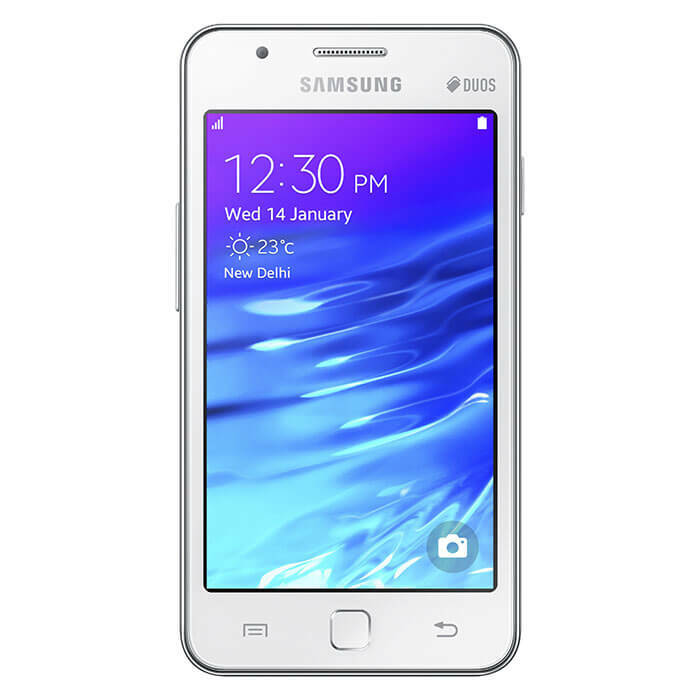 Targeted a first-time smartphone buyers, the dual-SIM Samsung Z1 is priced at Rs 5,700 (about $93). 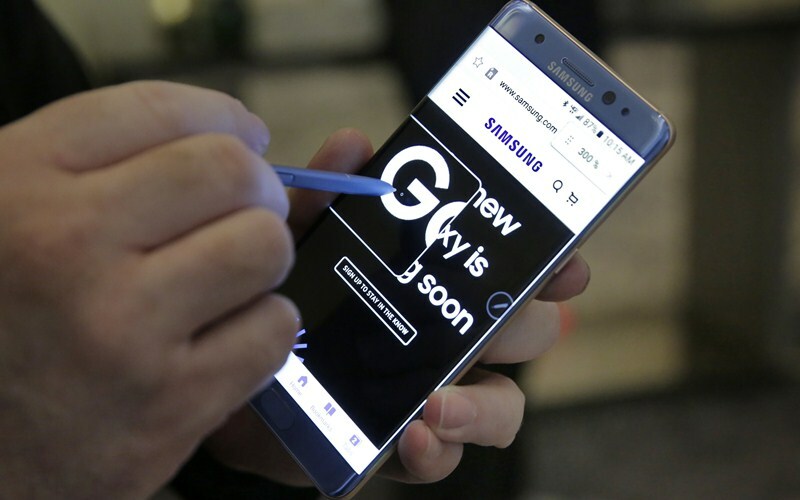 According to industry sources, the Korean giant has sold about 50,000-55,000 units of the handset since its launch in mid-January. 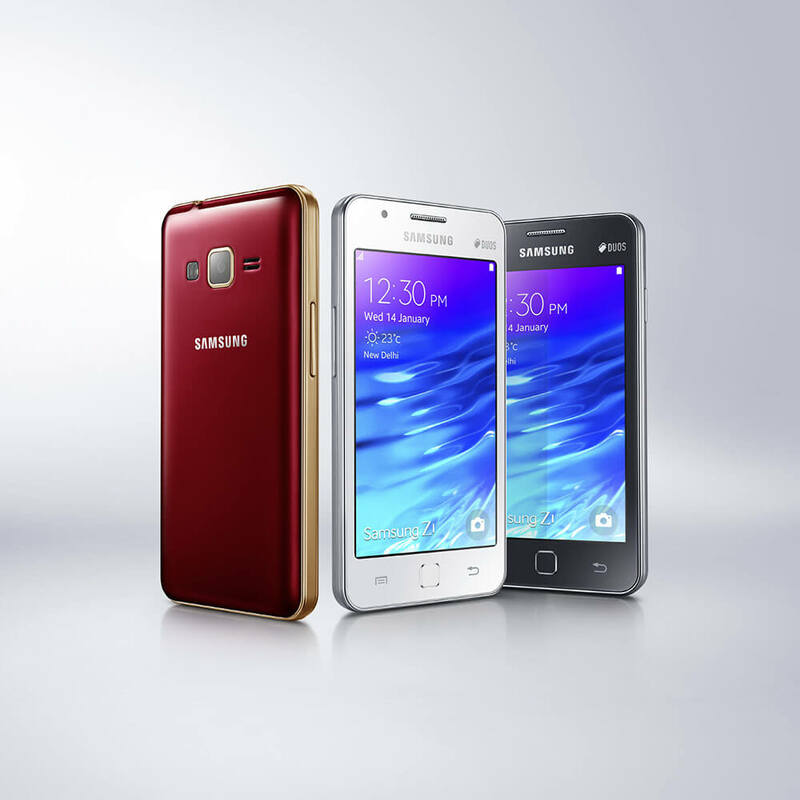 This is a stellar achievement for the Tizen device considering the highly competitive price segment it inhabits. The Galaxy Tab A (2017) was launched just last month and it has now made its way into Indian markets in October. 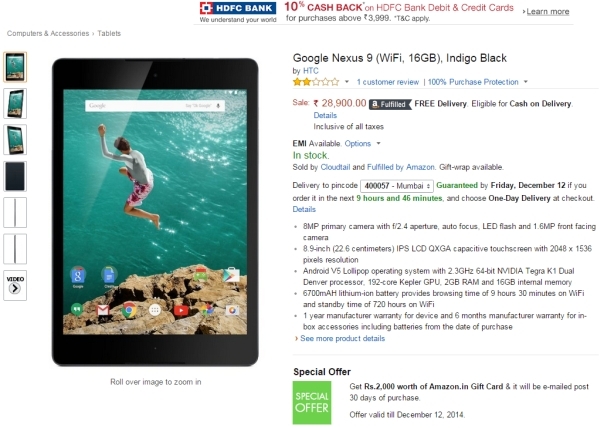 The affordable tablet costs exactly INR 17,999 in the country, which is equivalent to roughly $275. 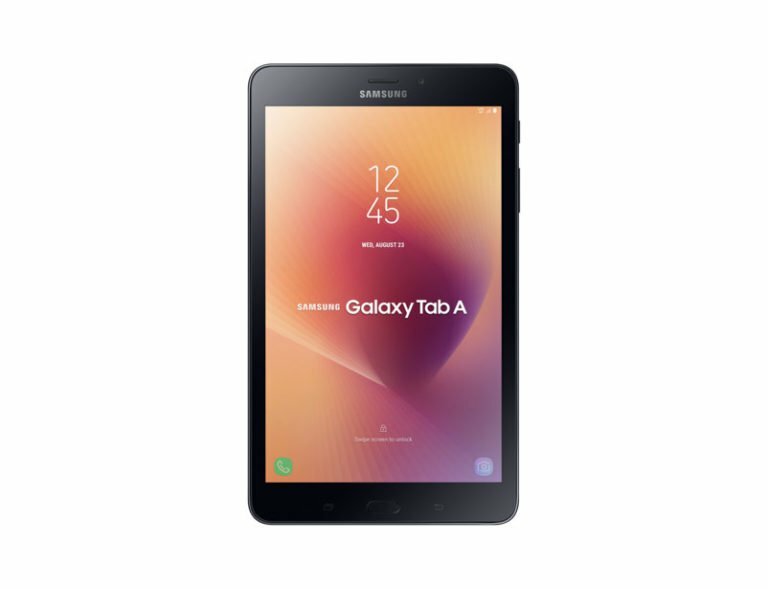 Targeted only towards developing markets like India and Vietnam, the Tab A (2017) will provide a decent alternative to people who do not want to shell out INR 47,999 (roughly $736) for the high end Galaxy Tab S3. Unfortunately, while the 8.0-inch tablet looks decent enough, the internals are nothing to write home about. Nevertheless, if you are interested in taking a look at the key specs, they are listed below. As you can see, the spec sheet looks something that would be dated even in 2014! Then again, in countries like India, the brand name sells the product more than the internal spec sheet and Samsung understands that well enough. Earlier reports in regard to market share in India had shown that Xiaomi and Samsung were tied at the number one spot last quarter and now the unthinkable has happened; Samsung has been dethroned as the market leader of the smartphone business in India by the Chinese manufacturer! Not that it was unexpected though, given how rapidly Xiaomi has grown in India, especially after launching their own manufacturing and assembling plants in the country to reduce the expenses. 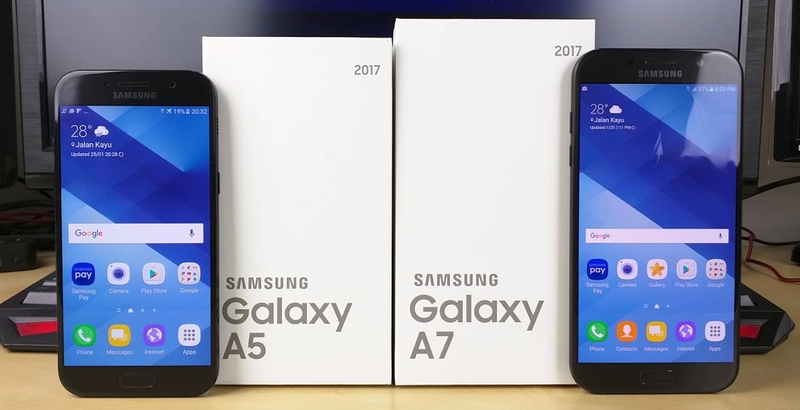 According to the data published by Canalys, Samsung's shipment of 7.4 million smartphones in Q4 2017 paled in comparison to Xiaomi's 8.2 million shipments in the country. This essentially puts Samsung in the second spot with 25% of the total market share and Xiaomi at the top spot with 27%. Vivo, Oppo and Lenovo took the following spots with significantly lower market shares. 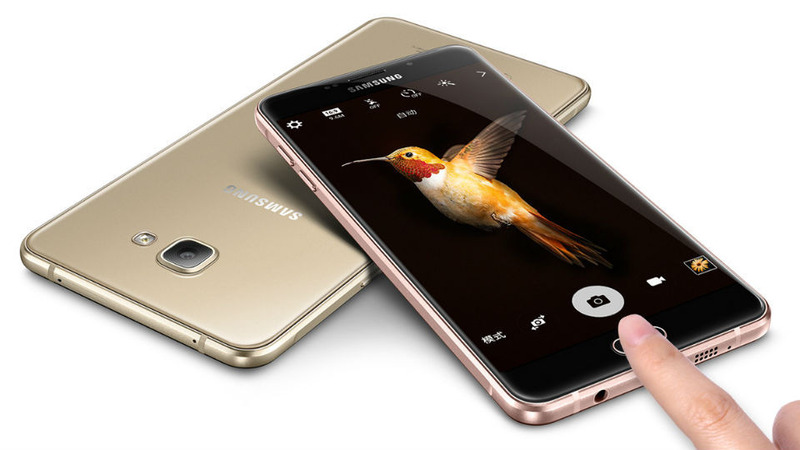 It should be noted that Samsung India's smartphone sector did show a 17% rise in growth, but it was just not enough to topple Xiaomi's meteoric rise to the top spot, all thanks to its superb range of budget and mid-range smartphones that offer better specs than any Samsung smartphone in the same price range. 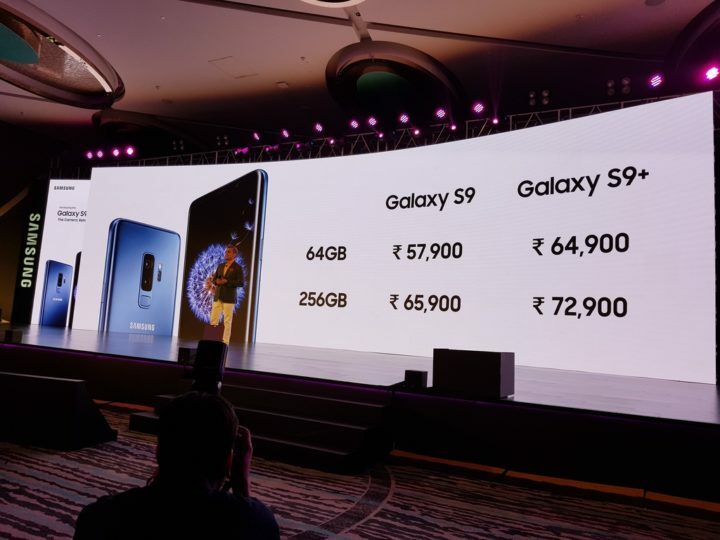 The Pricing of the Galaxy S9 and S9+ in India is… Surprising! With each passing year, every company keeps hiking up the prices of their flagship smartphones and the Galaxy S line-up has never been an exception to that rule either. 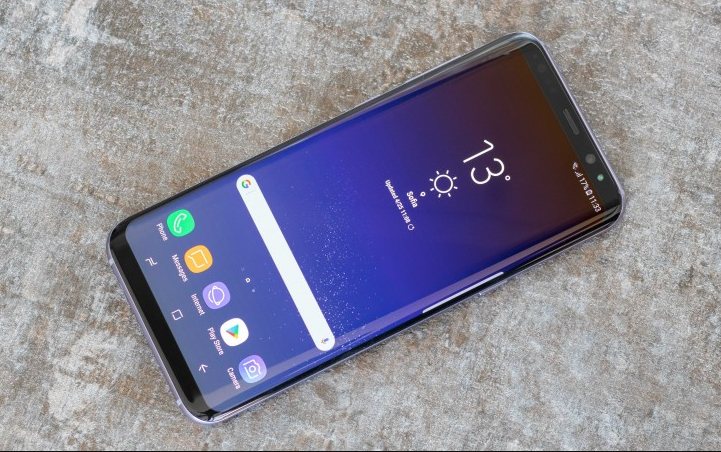 However, due to high import duties and a number of taxes applied on electronics goods by the Indian government, the price of the latest Samsung smartphones are usually a LOT higher than what they should be. This naturally led us to believe that the S9 and S9+ will sport exorbitant price tags with increments on the already hiked up pricing that we saw with the Galaxy S8 and S8+ last year in India. Surprisingly enough, Samsung pulled one over us by keeping the launch price at Rs 57,900 and Rs 64,900 for the S9 and S9+ respectively! This is surprising because that's exactly the price at which the S8 and S8+ were launched last year. Of course, there are also the more costly, higher internal storage (256GB) variants for both devices at Rs 65,900 (S9) and Rs 72,900 (S9+), but to start at the same price as last year's models is definitely a smart and commendable move by Samsung. Tags: oneplus india could cost half much galaxy s8+ samsung longer number one smartphone manufacturer india pricing galaxy s9+ india is… surprising! 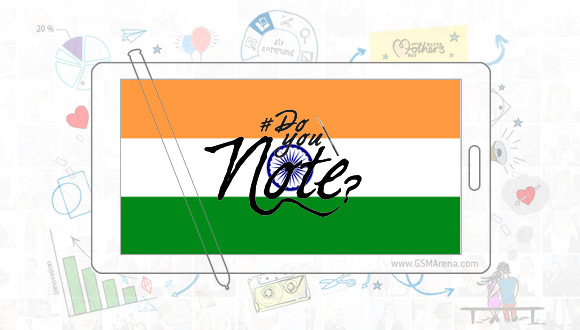 xiaomi going offline-only with redmi 3s+ india samsung galaxy launching officially india early april samsung galaxy edge+ officially launched india available pre-order samsung galaxy note5 has now officially launched india htc one getting lollipop 5.0 update india singapore malaysia tizen powered samsung debuts india samsung galaxy pro enters india testing samsung may relaunch galaxy note october india samsung galaxy on5 pro on7 released india samsung galaxy edge goes sale india galaxy tab makes appearance zauba while route india tizen-powered samsung manufactured india samsung galaxy note exynos n900 android 5.0 lollipop update rolling-out india samsung starts rolling out april security update galaxy pro india samsung launches beastly galaxy s8+ with 128gb storage 6gb ram india samsung india invites media event delhi india gets new affordable tablet: galaxy tab (2017) samsung longer number one smartphone manufacturer india pricing galaxy s9+ india is… surprising! 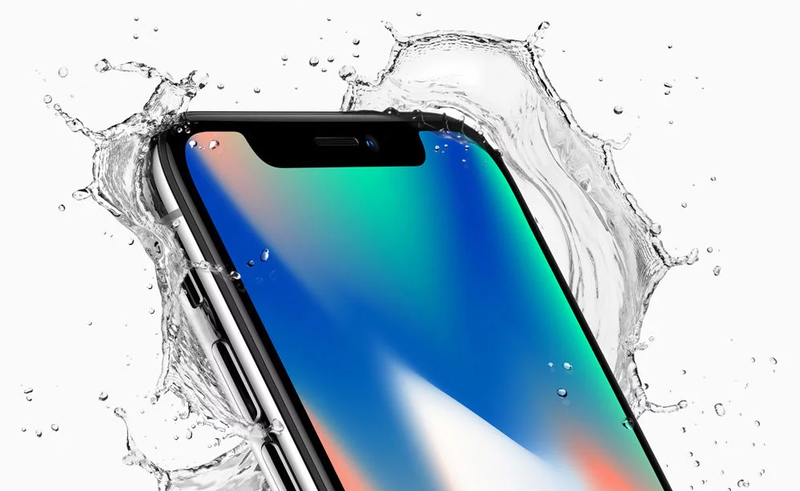 The iPhone X has finally been launched and although it was released alongside two other smartphones, no one really cares about them anymore unfortunately. The iPhone 8 and iPhone 8 Plus are definitely upgrades over the last gen iPhone 7 and iPhone 7 Plus, but anyone who takes a look at the iPhone X will probably end up buying that instead, provided of course, you can afford to! Let's admit it, it does look great and although the design is nothing we haven't seen already from the likes of Xiaomi, Samsung and Andy Ruben's Essential Phone to name a few, it still is the most beautiful "iPhone" ever. If you thought the iPhone X was going to be costly in the US at $999,, wait till you hear what it will cost to buy in India! It has been estimated that after taxes, this little beauty will set an Indian customer back by INR 102,000 or $1,565 (approximately)! That is however, for the model with 256GB in-built storage. 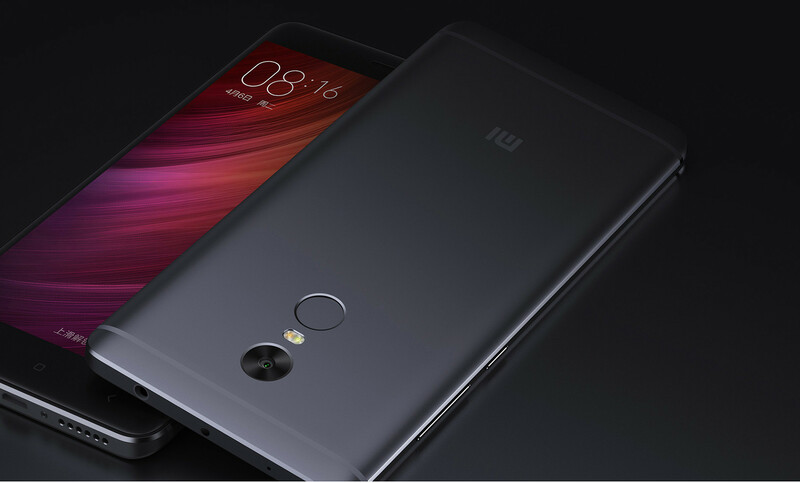 If you would rather buy the one with just 64GB of internal storage, it will set you back by INR 89,000 or $1,387 (approximately). The bottom-line is, if you are reading this in the US, remember that people from countries with weaker economy have to spend a LOT more to get their hands on one of these! 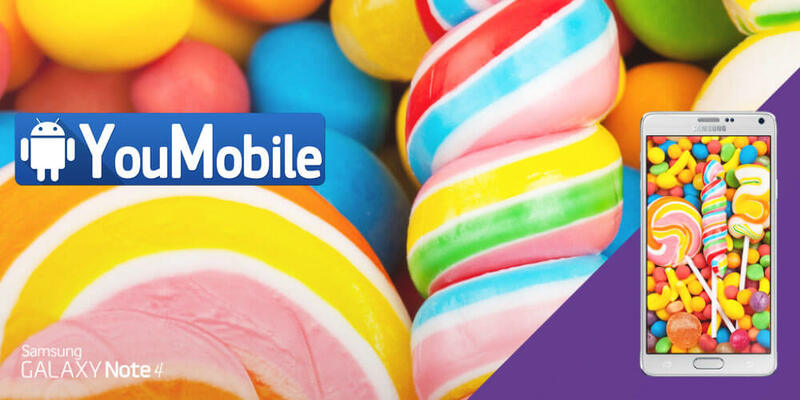 Motorola is rolling out the Android 5.0.1 Lollipop update for the 1st and 2nd Generation Moto G in India. As usual, the update is rolling out in phases, so not everyone will get it at the same time but your phone should show you a notification as soon as the update is available for download. Alternatively, you can check if the update OTA package is available by going to Settings > About phone > System updates. 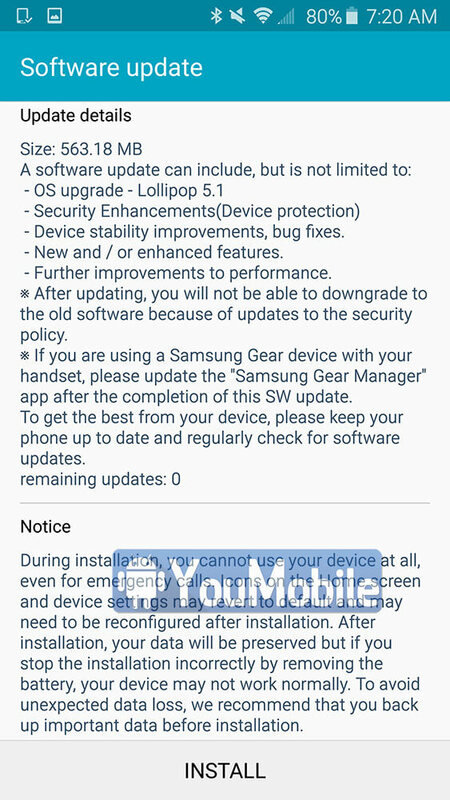 Today, Samsung has started rolling-out the official Android 5.0.1 Lollipop update to the Galaxy Note 4 users who are impatiently waiting for the update since last month. 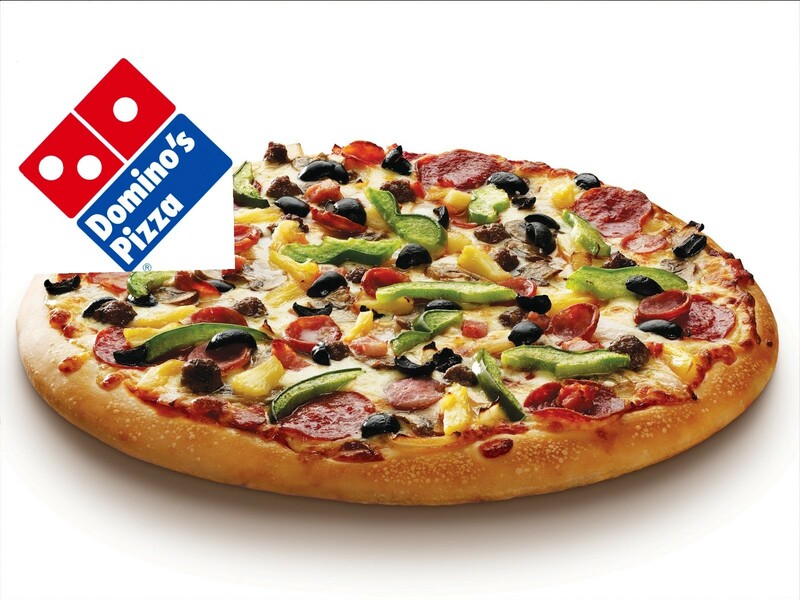 The update has reached India, Brazil, Baltic region and the Middle-east (UAE) too. Still, the update is not available to all users in this regions yet. 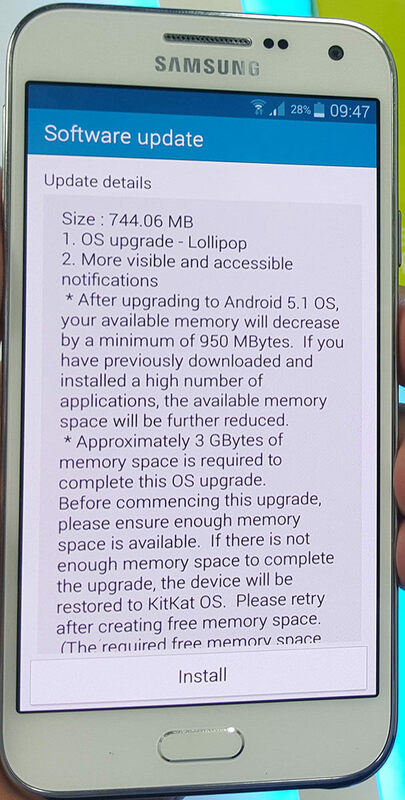 The OTA update weighs about 1GB, and will require about 3GB free space in your Note 4 storage to install. 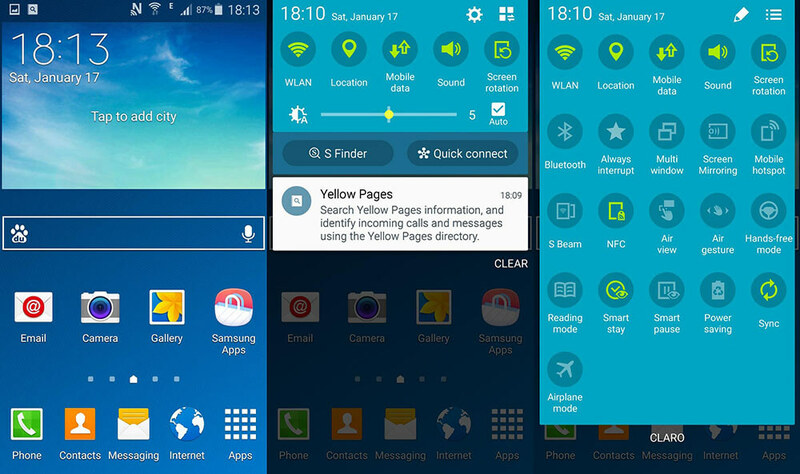 The update brings Lollipop build 5.0.1 along with New TouchWiz UI with Lollipop Material Design, New notifications, new lockscreen, Bug fixes and Performance enhancements. Thanks for the screenshots AT! Motorola announced today that will be releasing Android 6.0 Marshmallow update for Moto X Style in India. The new update will have feature improvements of the latest OS like doze mode, app standby, expandable storage, do not disturb, now on tap, direct share and more. This update is tweaked for Moto users. For example - as Marshmallow has the Do not disturb setting and data backup, Motorola has took away the Moto Assist and Moto Migrate features from the phone. They're also getting rid of the Google Chrome extension from Motorola Connect. Motorola says that as people have moved beyond SMS and to other OTT messaging apps, they see no requirement to continue with the app and this will free up some space in the device. 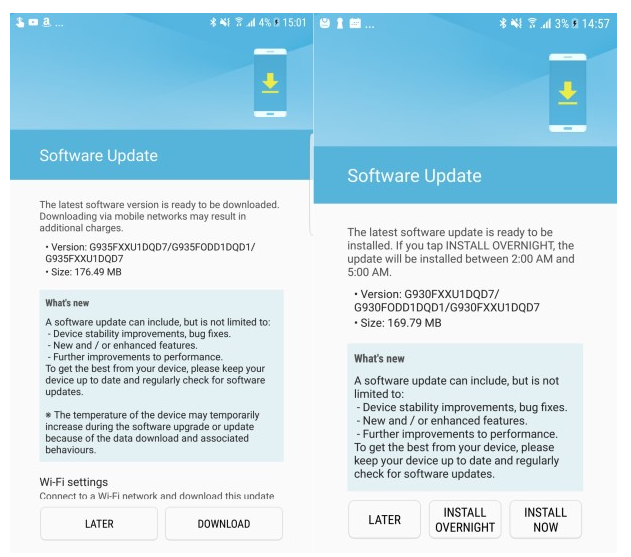 As per Motorola, users should make sure that the battery is at least 50 percent charged and the device is connected to a Wi-Fi network while installing the update. 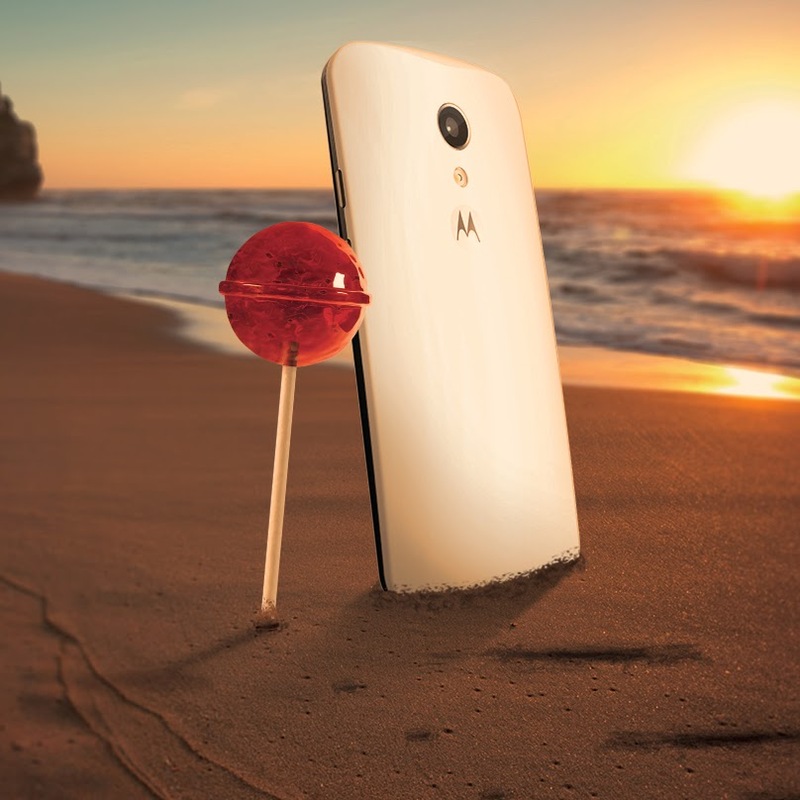 It is expected that there will also be some changes to the Moto Enhancement features with the Android M update as well. As the update is getting shipped in phases, don't panic in case you haven't got the notification till now. The Moto X Pure Edition should also start receiving the update within the next few weeks. 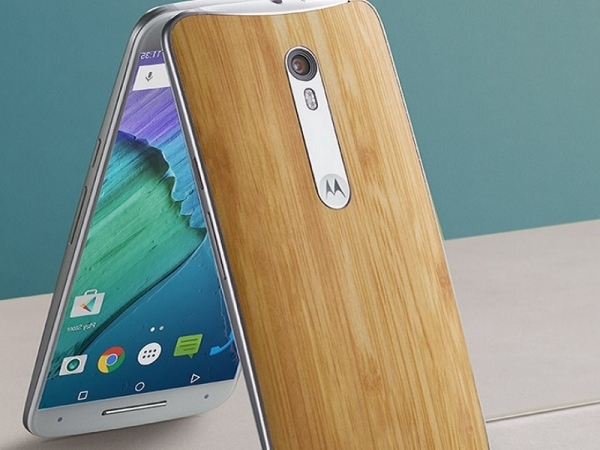 Motorola is working hard on updating its Moto line-up to Android 5.0 Lollipop. 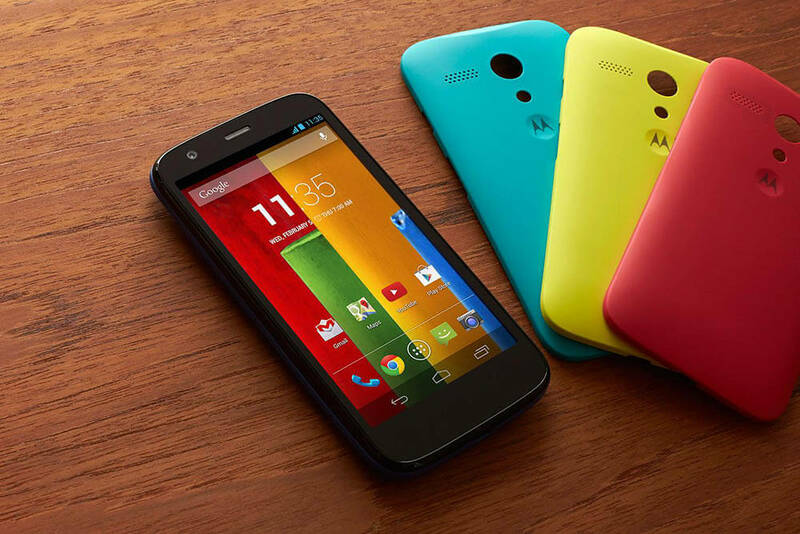 Today, Motorola announced that the Lollipop 5.0 update is Available to the Moto G (1st and 2nd Generation) in India and Brazil, other regions will follow very soon. If you haven't already been prompted to download the new update, you can also pull the update by going to Settings > About Phone > System Updates.
" Though we try to make the process seem easy, it's actually pretty complicated. That's because we want to ensure a quality experience across every device that gets the upgrade. 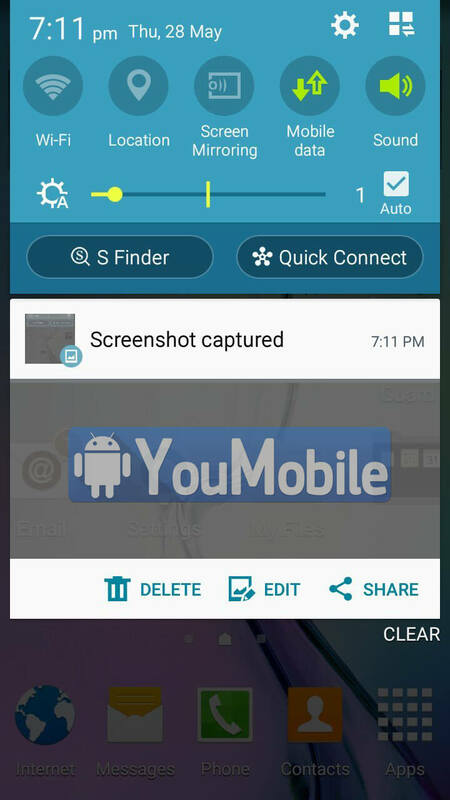 Let's do a quick recap of how a major new version of Android comes to your phone. 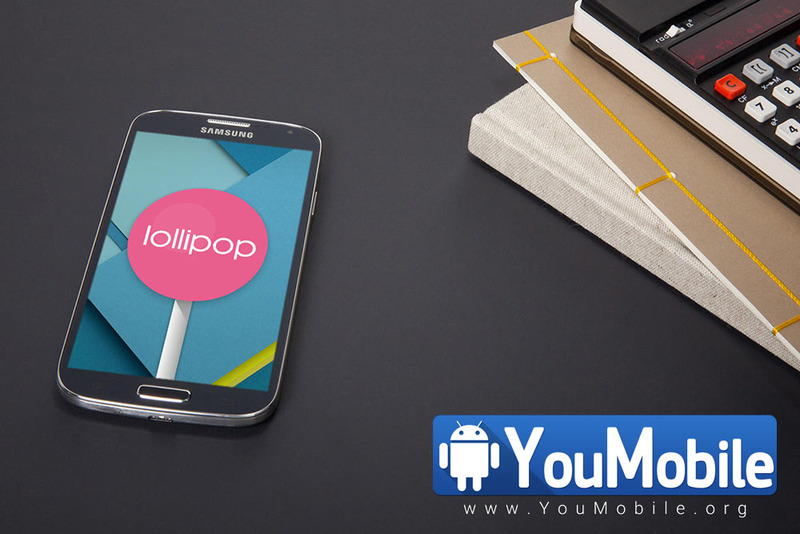 Google improved the Android release process with Lollipop, which was important because Lollipop is the biggest and most ambitious release of Android ever. Everyone needed time to adapt. Several developer previews were released early so that developers-and device and chipset manufacturers that are part of the early access program could kick the tires. Tags: oneplus india could cost half much galaxy s8+ samsung longer number one smartphone manufacturer india pricing galaxy s9+ india is… surprising! 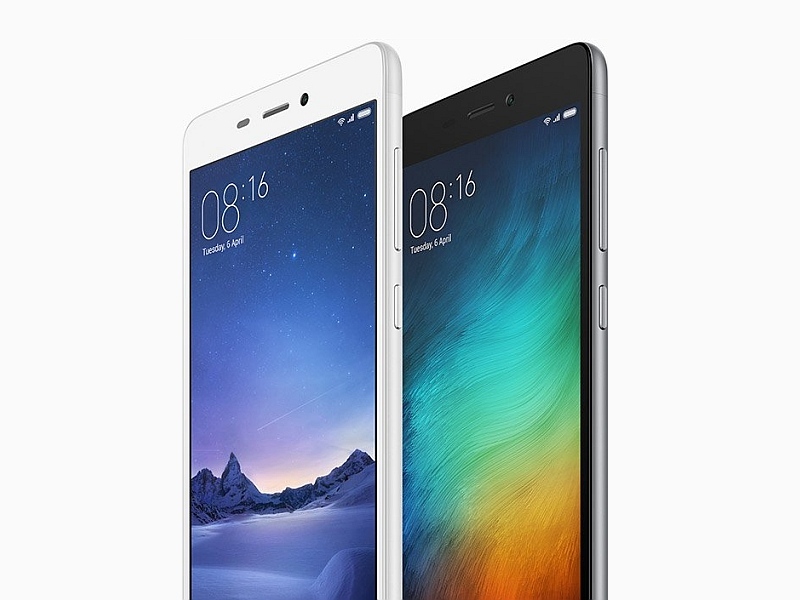 xiaomi going offline-only with redmi 3s+ india samsung galaxy launching officially india early april samsung galaxy edge+ officially launched india available pre-order samsung galaxy note5 has now officially launched india htc one getting lollipop 5.0 update india singapore malaysia tizen powered samsung debuts india samsung galaxy pro enters india testing samsung may relaunch galaxy note october india samsung galaxy on5 pro on7 released india samsung galaxy edge goes sale india galaxy tab makes appearance zauba while route india tizen-powered samsung manufactured india samsung galaxy note exynos n900 android 5.0 lollipop update rolling-out india samsung starts rolling out april security update galaxy pro india samsung launches beastly galaxy s8+ with 128gb storage 6gb ram india samsung india invites media event delhi india gets new affordable tablet: galaxy tab (2017) samsung longer number one smartphone manufacturer india pricing galaxy s9+ india is… surprising! 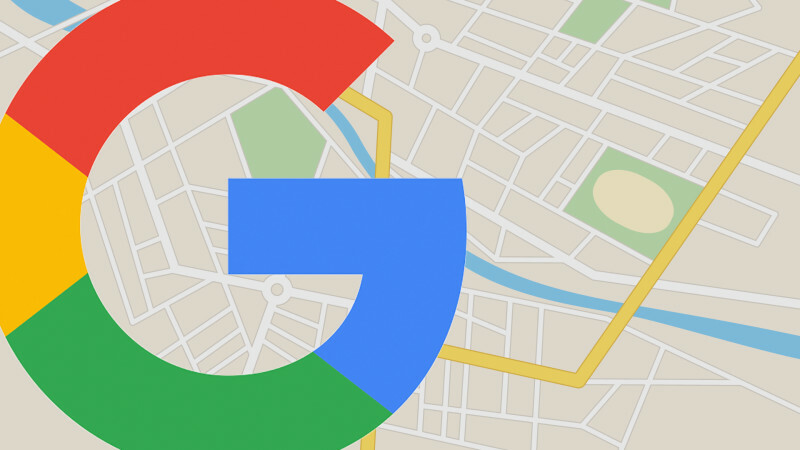 google maps now brings offline navigation search india it’s crazy how costly iphone india india htc one got updated android 4.4.3 with support moto getting android 5.0.1 lollipop update india htc nexus available india throught amazon samsung galaxy note now available pre-order india samsung galaxy note official android 5.0.1 lollipop rolling-out uae india android 6.0 marshmallow update available moto style india moto android 5.0 lollipop update available india brazil galaxy sm-g900h exynos begins receiving android marshmallow india meanwhile india get 20% off your next domino’s order updating samsung smartphone! 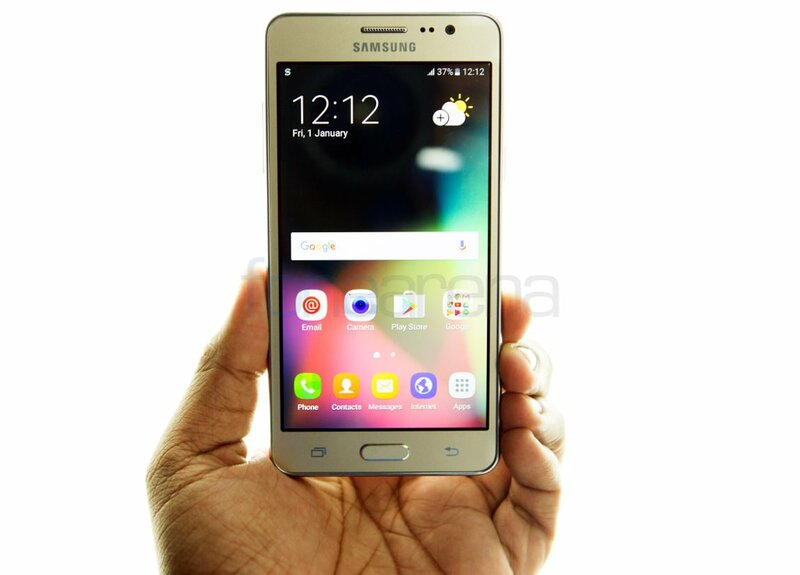 We have good news for our readers in India because Samsung has decided to bring Android Marshmallow to even the entry level Galaxy J5 Original this year. In fact, the 874.17MB update has been rolled out to the J5 even before the J7 Original, which will receive the update soon as well. Once you download and install the update (preferably via Wi-Fi), the build number on your phone should change to J500FXXU1BPF and the base Android version should now show 6.0.1 Marshmallow. You will need to take a good look at the change log to see all the changes that you will see on your J5, post the upgrade. 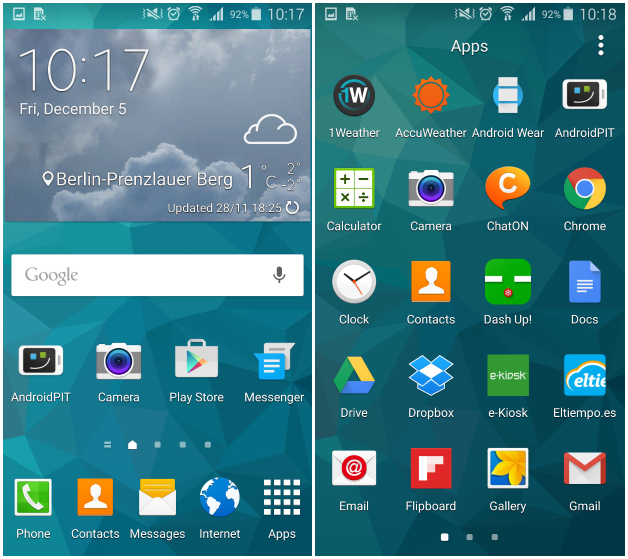 We think that the "New TouchWiz" should be particularly interesting to experience for the first time. You can also expect features common to the Android M OS to now become a part of your smartphone, like customizable app permissions, better battery life with Doze, Google Now on Tap, etc. The update will take time to reach every smartphone in the country via OTA, but you can always check for it from Settings > About Device > Software update on your device. Did you expect your J5 to receive the Marshmallow treatment? 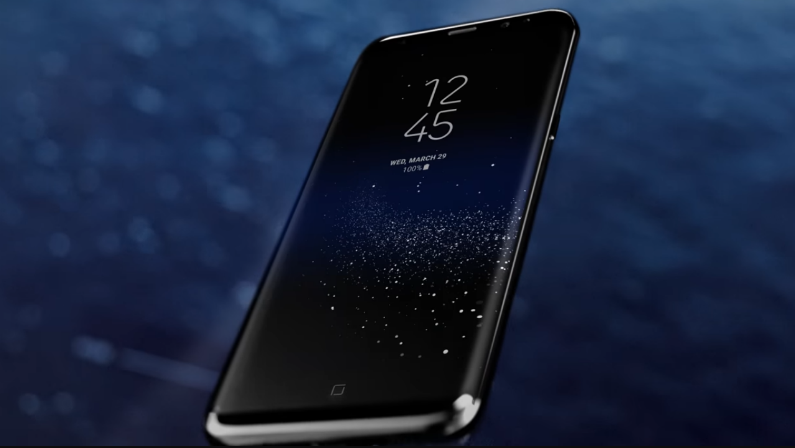 They did take their sweet time with it, but considering the fact that Samsung isn't really known for providing major updates to its older entry level phones, this is good news indeed. 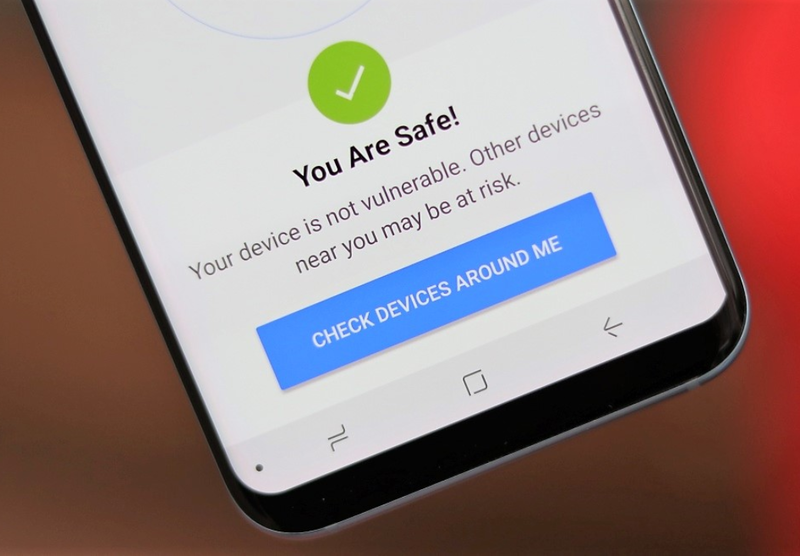 Just like plenty of other regions around the world, the Galaxy S7s in India have also started to receive their November security update since yesterday. 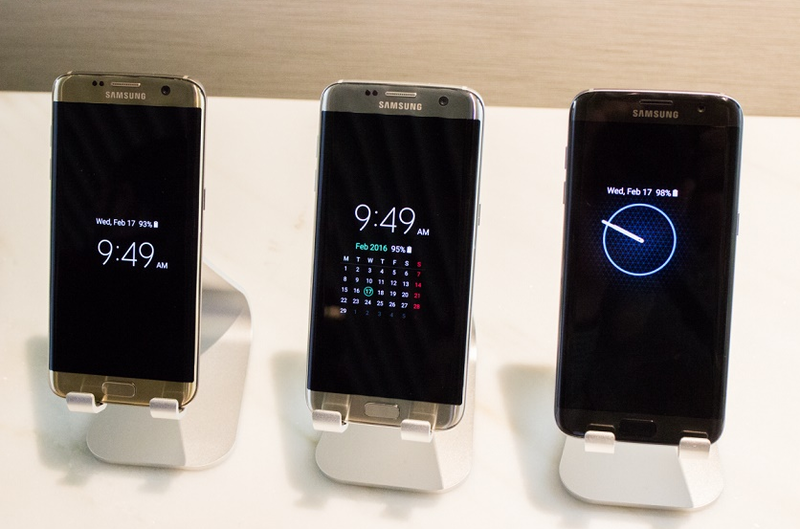 If you own an S7 Edge however, you will have to wait a while longer. 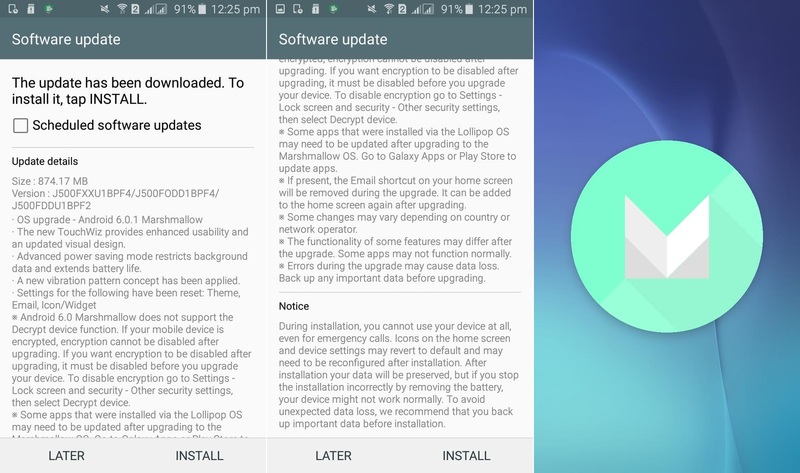 Like always, the security update includes Google’s monthly security patches for the Android OS in general (6.0.1 Marshmallow), as well as fixes for 14 vulnerabilities unique to the Samsung smartphones. Overall improvements in terms of stability and performance were also mentioned in the changelog, but nothing else was pointed out specifically. Head over to Settings > About device > Software update on your S7 and search for the November patch manually. If it hasn’t arrived on your phone yet, just wait a while longer as OTA updates never reach all phones in an area at the same time. If it’s already there however, connect to your Wi-Fi, download the 64.42MB file and install it. 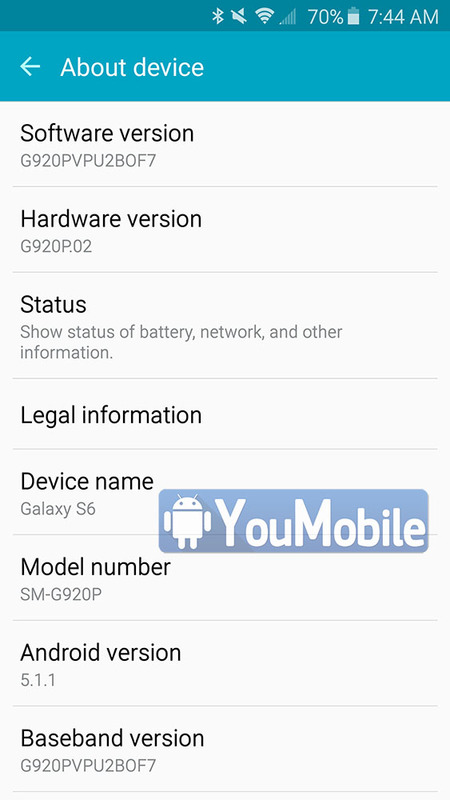 The Build Number of your S7 should show G930FXXU1BPJJ after the update is complete. 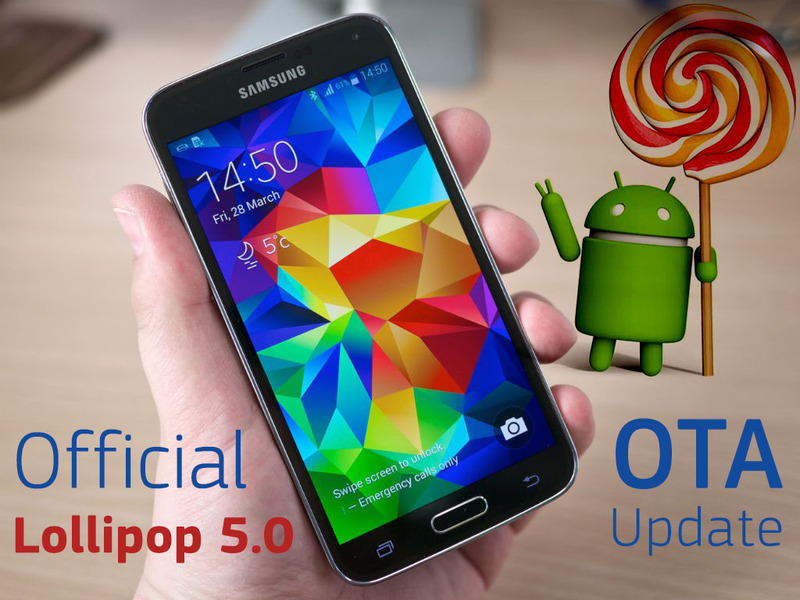 Good News, Samsung is rolling-out the official Android 5.0 Lollipop update to the Samsung Galaxy S5 SM-G900H, it's currently Available Over-the-air (OTA) and through KIES in India. 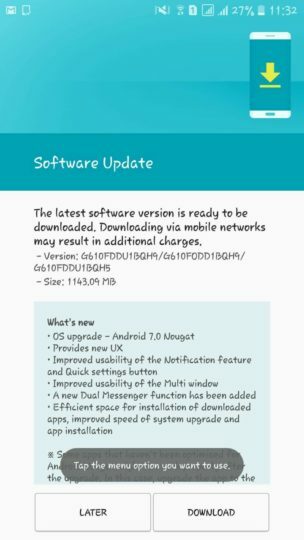 The update size is about 874.21 MB carrying build number G900HXXU1B0C3 and Android version 5.0 Lollipop, along with various Bug fixes and Performance enhancements. Please note that the firmware above is not the Indian firmware that was release today, but it's still the same. 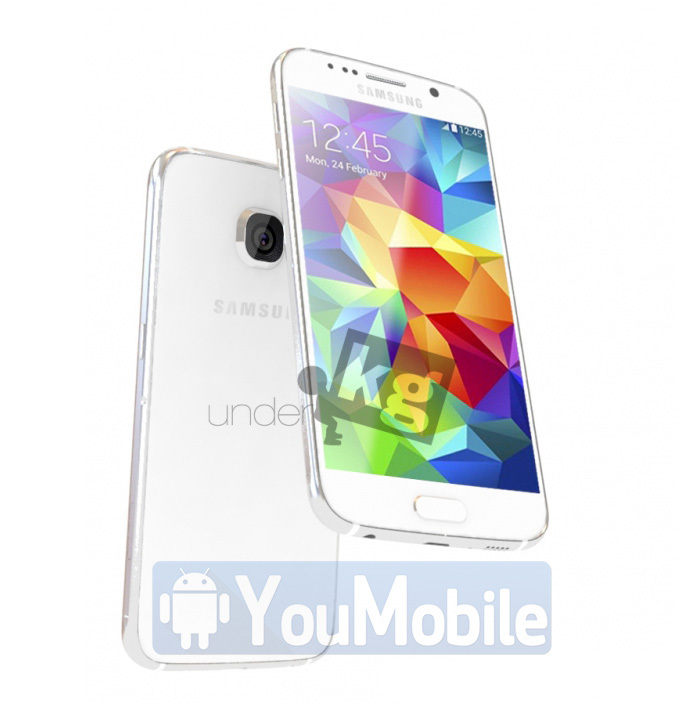 You can use our Odin 3 tutorial to manually flash to your Galaxy S5 G900H. 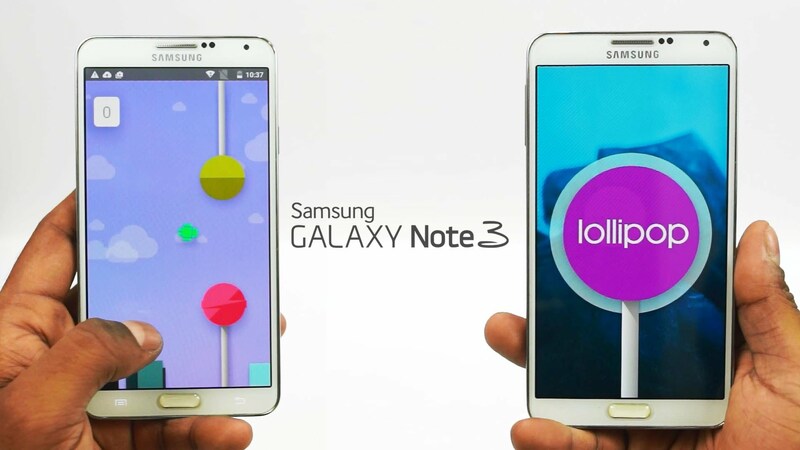 Samsung continues on releasing its flagships Lollipop updates worldwide. 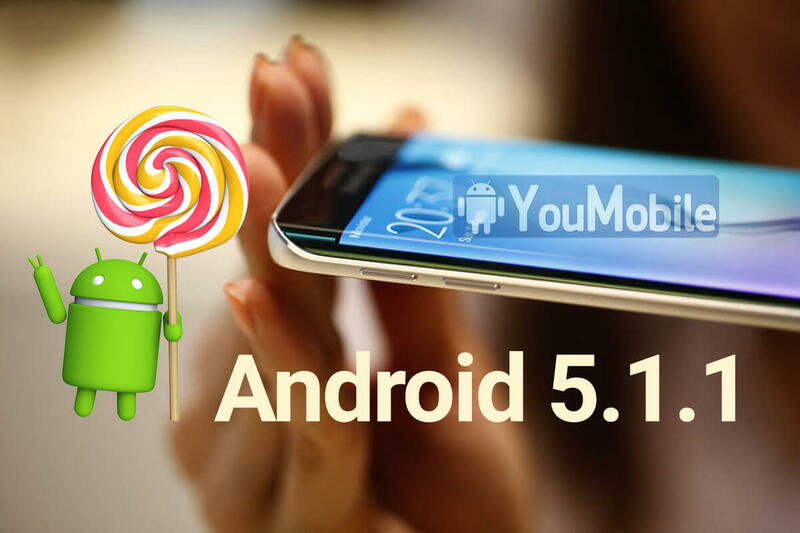 Today, The Original Samsung Galaxy S4 I9500 users in India received their Official Android 5.0.1 Lollipop firmware update. The update is now Available Over-the-air (OTA) and via KIES. 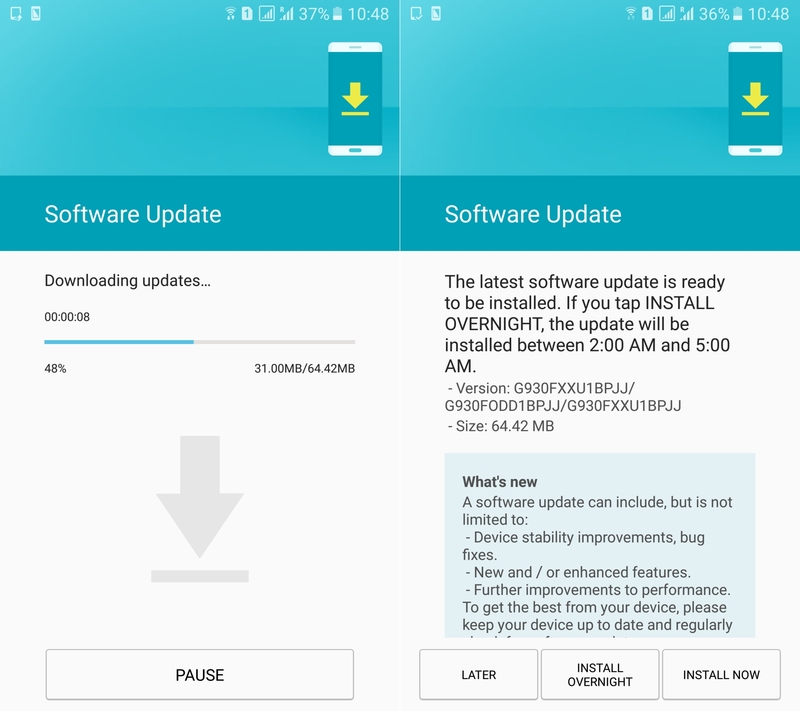 This firmware update is carrying Android Build 5.0.1 and Firmware build I9500ODDHOC1] with all the Stability and Performance enhancements needed for a smooth lollipop experience. It also packs the bug fixes that was reported before by the users who got the initial update back in February. 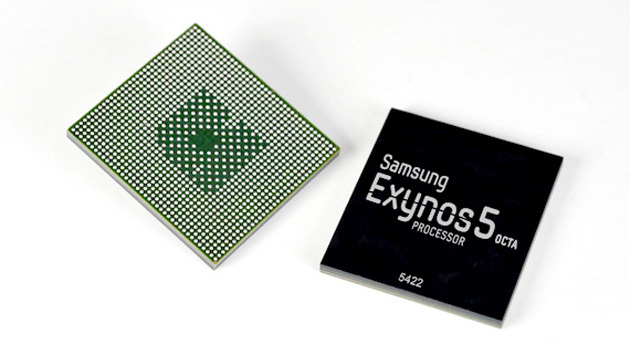 You can use our Odin 3 Tutorial to know how to manually flash this Firmware on your Galaxy S4 I9500. 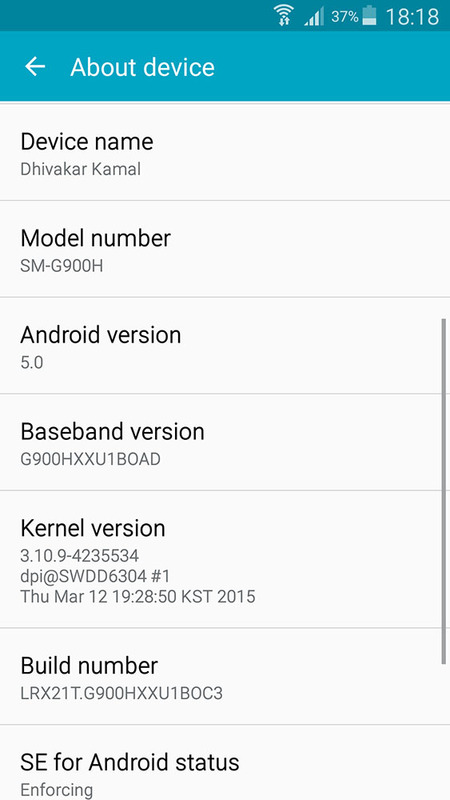 Unlocked Samsung Galaxy S6 (SM-G920F) official Android 5.1.1 Lollipop Update is rolling-out. The update is Now available Over-the-air (OTA) and via KIES in UK and other European regions. You can flash the S6 Lollipop 5.1.1 Official firmwares from the YouFirmware links below if you are not a fan of waiting. 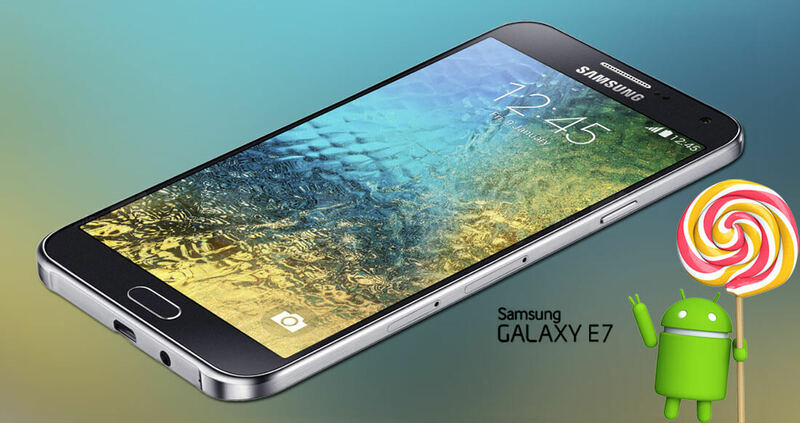 We reported before that Samsung Galaxy E5 and Galaxy E7 will get Lollipop update during Q3,2015. 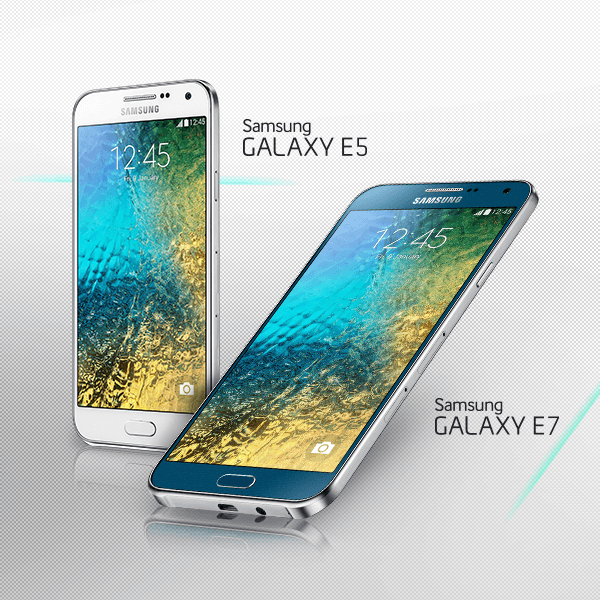 Here we are, Samsung has rolled-out the official Android 5.1.1 Lollipop Update to the Galaxy E5 (SM-E500H) variant. 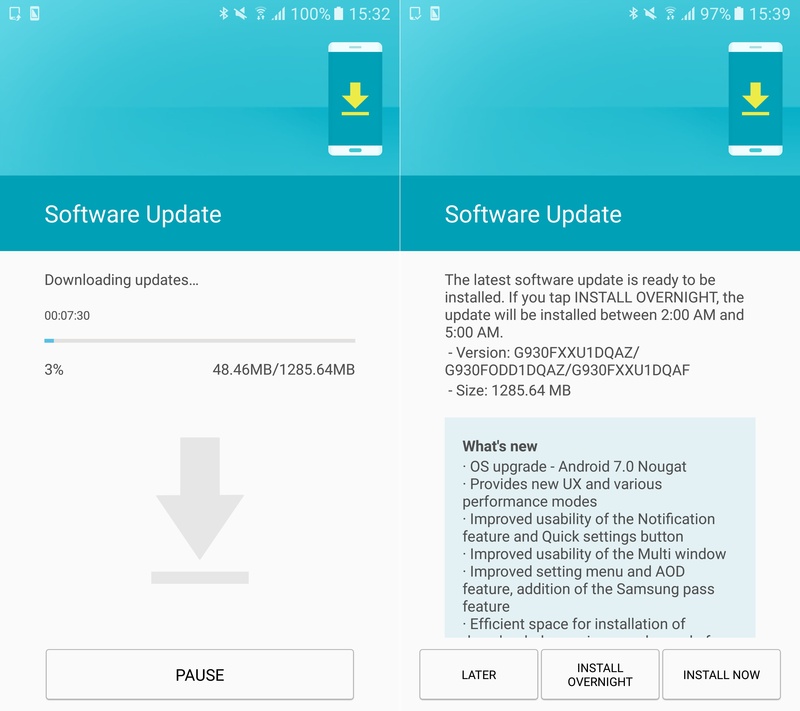 The update is Available Over-the-air (OTA) and via KIES in Russia and India, Galaxy E7 variants will get the same update in the next few weeks. 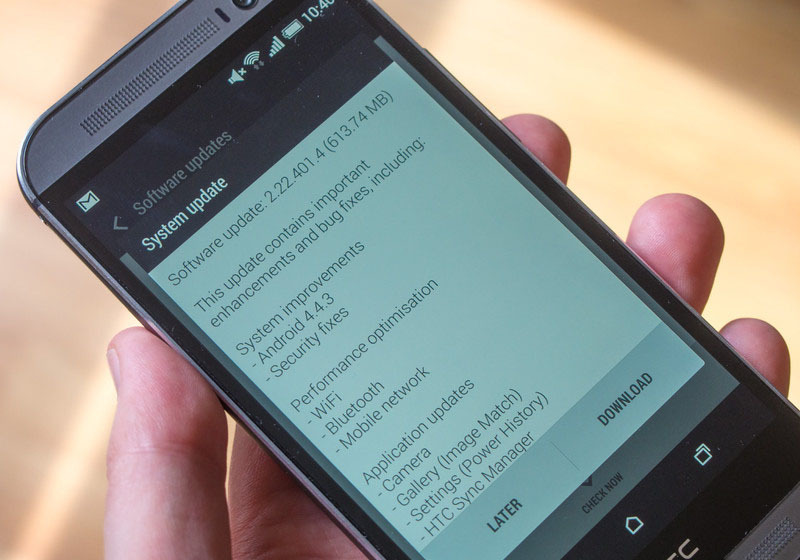 The update packs the latest Android build 5.1.1 with firmware version [E500HXXU1BOG6]. 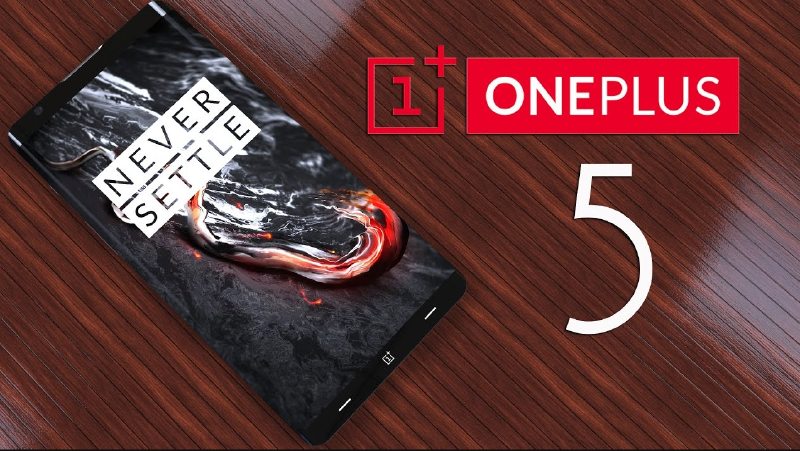 It included various bug fixes, major performance improvements, new lockscreen, updated TouchWiz UI with Material Design, new notifications panel, improved connectivity and the OTA package size is about 750MB. Reports from Indian and Russia have confirmed that the Nougat update has started being rolled out to the Galaxy S7 and S7 Edge in the two countries. 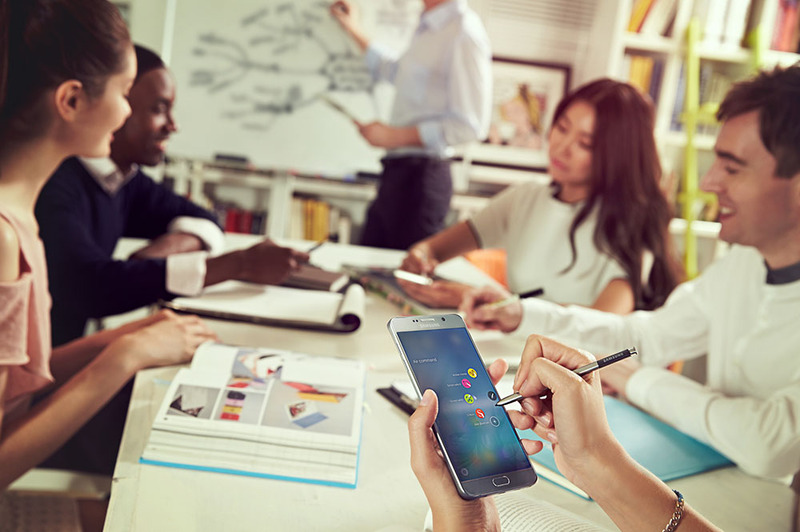 It is impressive how fast Samsung is rolling out the Nougat update across various countries around the globe this year and we hope that this is a trend which will continue. 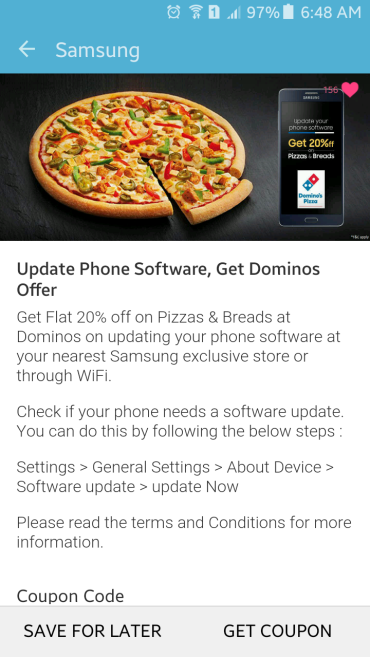 If you are in India or Russia, check for the update manually from Settings> About device > Software update. Even if it is not there yet, rest assured that it will be there in the next few days. 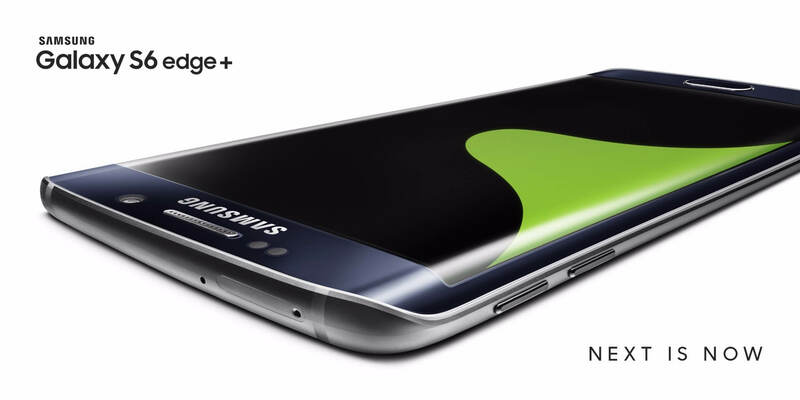 The firmware comes in at an expectedly huge size of 1285.64MB for the Galaxy S7 and 1290.74MB for the Galaxy S7 Edge. 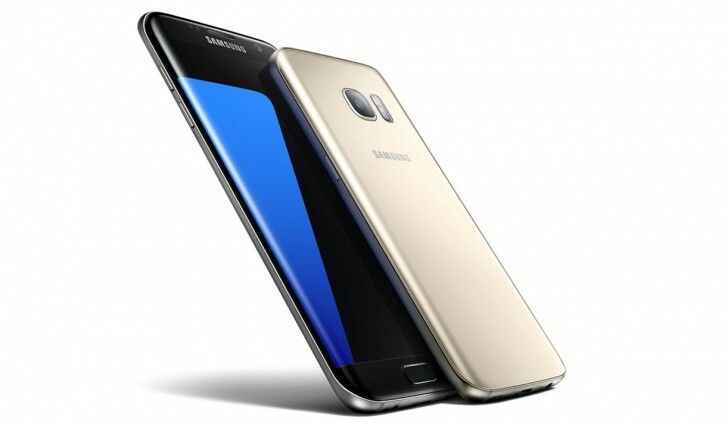 The version of the firmware meant for the Galaxy S7 is G930FXXU1DQAZ, while G935FXXU1DQAZ is the version of the firmware released for the Galaxy S7 Edge. If Nougat hasn't arrived for your smartphone yet and you can't wait to get a taste of the latest and greatest that the Android OS has to offer, check our firmware section here.